A restaurant has become more than just a place you go to when you’re hungry. I don’t know about you, but when I choose, I focus on the overall summary of the establishment, which includes quality of the food, the amount of time it takes for the food to arrive and overall comfort. Comfort is definitely the most challenging to achieve and I’ll tell you exactly how to tame that beast. Every restaurant can benefit from digital signage, especially franchise chains and places with a quick turnaround. Updating information is faster and easier, increasing overall efficiency of your business. Wi-Fi, great service and digital screens on every corner confirm everything truly is about the customer experience, starting from the prices. Let's focus on what you really want to know, the most important benefits and features of digital signage in your average restaurant. First, if you invest in digital signage menus and boards, you save a lot by eliminating the need to print out new menus every time a minor change occurs. With this freedom you're more likely to indulge in any ideas or plans you may have and also save a lot of time. Second, digitally you can share more information without the viewer's eyes being assaulted, which is often the case with an elaborate menu board. More information shared means more purchases. Third, digital is the mark of the future which enhances the customer experience, increasing the chance the customer will return a second time. Let's examine more benefits which ensure it. 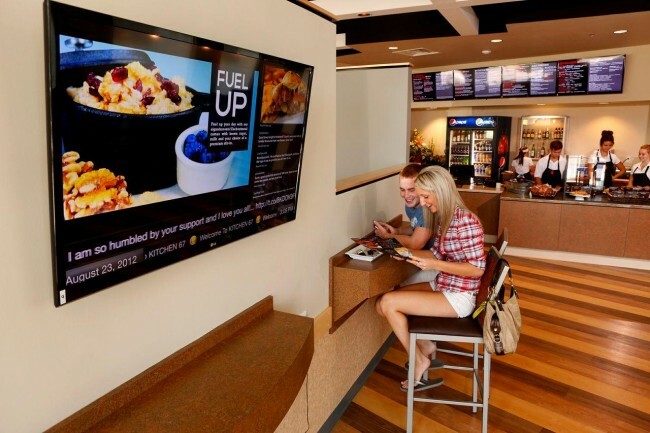 Communicating via digital signage offers many opportunities for marketing, advertising and also menu customization and sharing information like nutritional data of the food. 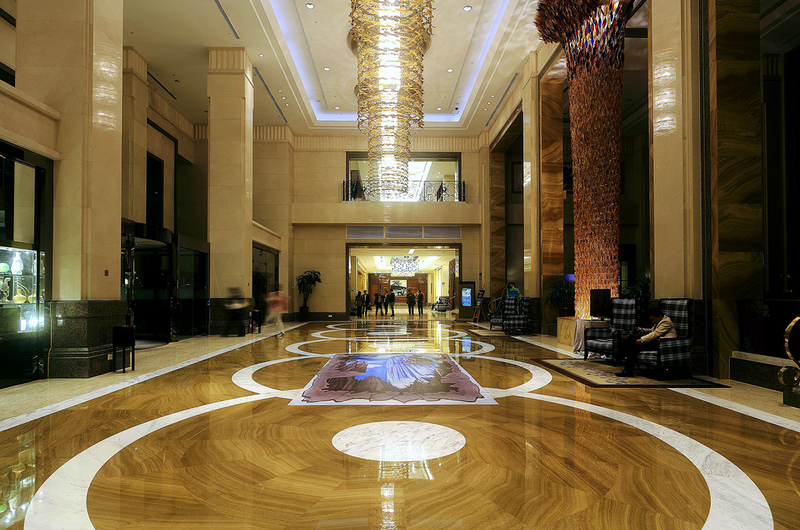 The world moves quickly, and digital displays make it move even quicker in a restaurant. Meanwhile facial recognition is another interesting feature that may be used to quickly bring a customer to his food. If you're interested, read more in the article on facial recognition in the food industry at Digital Signage Connection. Digital signage adds a certain x-factor to the establishment and makes it feel more comfortable for the customer. As a restaurant owner that's a bonus on every level! If you have the comfort to spend up to several hours in a restaurant, that means the customer experience is great. Digital signage has raised the bar but at the same time provided creative and easier ways to satisfy the customer! Videos, animations or even a fixed image attract more attention than plain text. People are naturally judgmental which makes visual appeal very important, especially in the food industry. Digital signage is an easy card to play in this case. You can use images and animations for your digital menus, but regarding the customer experience, here are 8 reasons to use video on your digital displays. Let's talk about practical uses in a restaurant. Chalk and blackboard have been somewhat of a signature for coffee shops and restaurants, and that very asset can be significantly upgraded with digital signage. Saving time and making updates faster and easier are the main advantages of digital menu boards. Digital signage can be used in even more cases. In other news, a new FDA legislation (section 4205 of the Affordable Care Act) requires that retail food establishments on 20 locations offering the same products have to provide nutritional information for each menu item. Traditional menus can be a nightmare to manage and keep in sync, meanwhile digital menus are easily managed and bring many advantages. A digital menu is definitely more effective than a regular one, but just how effective is it? Without specific digits to compare you can't exactly be sure which changes occurred because of your investment. The Digital Menu Board Revolution blog shared a neat article on three ideas to prove if your digital menu is actually working! Outdoor digital signage is a unique subject for business owners and is a very thought-provoking decision before making the investment. 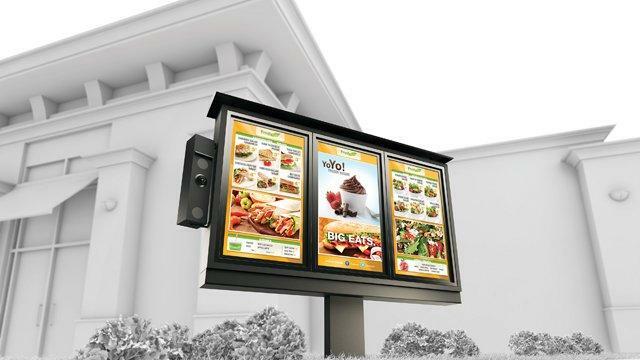 None the less, drive-thru digital signage indeed is a thing and in 2014 Panasonic unveiled a drive-thru digital signage solution, resistant to weather conditions, eliminating the need for enclosures. Seeing how beneficial indoor digital signage menu boards have been, it's only natural owners want to gain the same benefits from drive-thru purchases. Digital menus in general are a lot like browsing through Amazon or Ebay – you're looking to buy article A, and in that search you will most likely stumble across article B you buy as well without planing on it. Regarding drive-thru orders, they produce more income than you think. The eyes are hungrier than the stomach, especially when on the go. 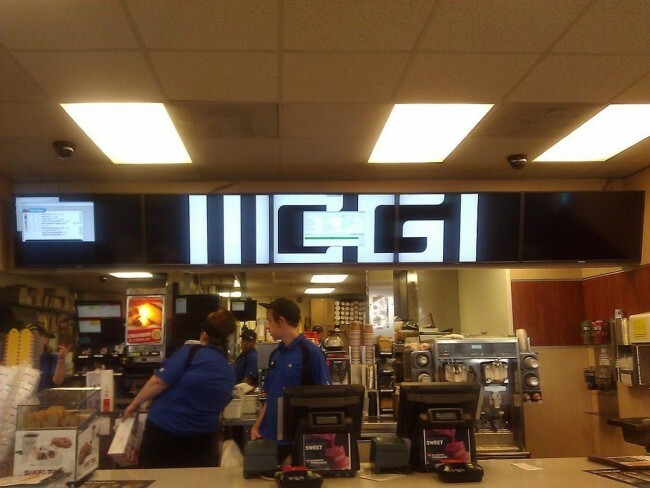 This is something owners can capitalize on with digital menus. Digital menus focus on efficiency, speed and delivering the right information at the right time. The entertainment aspect of digital signage does none of the above. Instead its job is to make the customer feel as if they were home. Entertainment can greatly improve the customer experience, and digital signage can be of great help! There's a decent amount of time around the actual food consumption which has to be filled, and not everyone has a date to talk with. Music videos, documentaries, sport programmes or a plain random television channel are just some of the things that can attract the attention of the customer. 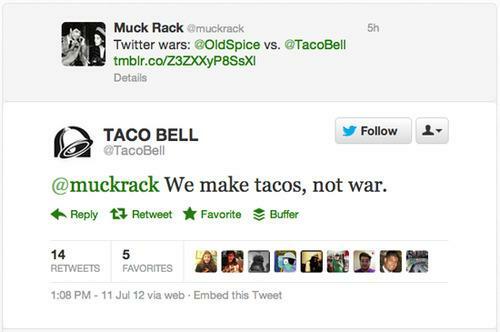 Barely a few years ago most of us mocked the concept of using Facebook or Twitter on a daily basis. Today it's greatly accepted as a common thing. Many restaurant owners choose to use this factor to improve the relationship with their customers by getting them involved. You can display much more than sports or fashion shows and really interest the viewer. Advertise your restaurant's Twitter, Facebook or Instagram pages and more importantly (and interestingly) you can share activity from customers who are reaching out. Sports, fashion shows and cartoons are standard entertainment content. You don't have to limit the digital signage to non-interactive content, though. 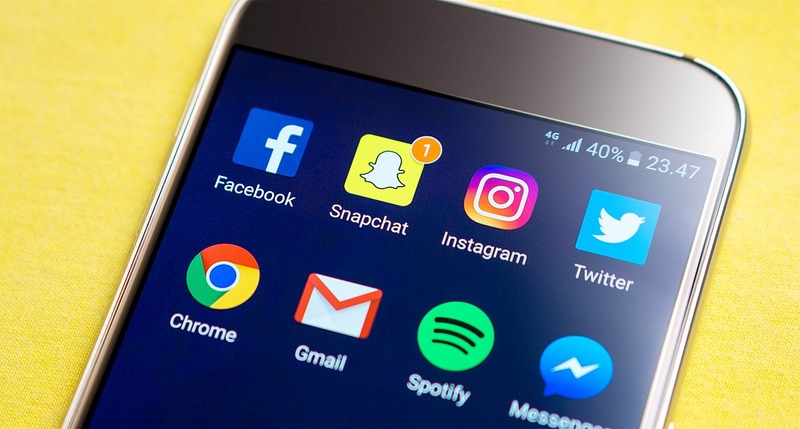 As mentioned, many businesses try to connect to their customers across social networks. Some also choose to share that relationship publicly and get the customer involved directly. "Customers get really excited to see their own words on-screen." – Elton Keung, Boba 7, Los Angeles. It certainly goes beyond the standard restaurant experience and adds another dimension of interactivity and goes to show that digital signage and social media integration are a very useful and effective mix. You can enhance the customer experience by providing beneficial information that actually doesn't concern your business at all, but is still extremely beneficial for the customer. An airport restaurant can have amazing uses for digital signage. You can share flight information, airport navigation or weather conditions. 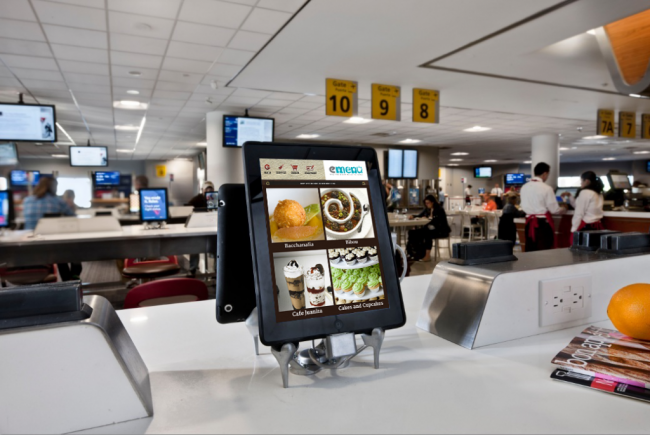 You can process orders faster and even help the customer kill time while they wait for the flight with entertainment. The most amazing feature of digital signage is that you can adapt it to use everything that surrounds your business, you just have to spot the potential! It's an adaptive and a big canvas, meaning you can show a lot more information on a screen than you ordinarily would on a regular board. You won't find an article about every possible restaurant situation so I encourage you to literally step outside and see what information a consumer might benefit from and use it to enhance your digital signage! OnSign TV is a dynamic and fast-paced company based in Hong Kong with development offices in Brazil. Our customers span all over the world through out more than 100 countries and more than 2,000 cities. PHPSESSID - Preserves user session state across page requests. _icl_current_language - Saves the user's preferred language on the website. We use different analytics tools to collect anonymous information such as the number of visitors to the site, and the most popular pages. Keeping these cookies enabled helps us to improve our website.